A doula is a crucial addition to your birth team, and is sometimes called a labor support specialist or labor assistant. Her job is to ensure you are prepared, supported, and cared for before, during, and after the birth of your baby. She oftentimes offers additional complimentary services that help to prepare and support the new mother and birthing partner. Dana is a trained Birth Doula and Licensed Massage Therapist, which is the perfect combination for empowering, comforting, and assisting families during this exciting time. Having a baby? A Doula is your answer. We will schedule a free interview for mother, birth partner if available, and myself to see if we will work well together. After you choose to hire me as your Birth Doula and secure your place in my calendar, I will keep in touch with you throughout your pregnancy to help you prepare for birth, answer your questions, and provide you with resources. We will meet for a prenatal appointment in your home towards the later part of pregnancy, where we will practice birth techniques, positions, plan your birth, discuss interventions and evidence-based care, and discuss any concerns you may have about the experience. During labor, I can join you whenever you feel you need assistance and support. I will be on-call for you from weeks 38-42 in your pregnancy. A doula is trained in the physiology of childbirth and can freely offer non-medical methods of pain relief, and can also provide and suggest comfort measures to reduce your likelihood of unwanted interventions. No matter which type of birth you are having, I will stay by your side as much as possible and provide emotional support, physical comfort measures such as massage and positioning, offer an objective viewpoint, as well as help mom and birth partner get the information they need to make good decisions. 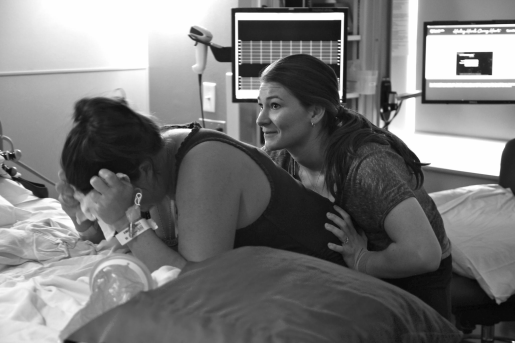 One important role that a doula can play is to help facilitate communication between the laboring woman, her partner, and clinical care providers. I will play a nurturing role at your birth, and will do everything in my power to protect your birthing space and memory of your birth experience. I will also help with initial breastfeeding and bonding. This is YOUR birth. I am there to support your birth the way YOU want it, while making sure you have given Informed Consent every step of the way. I can also provide Prenatal Massage Services to you in your home throughout your pregnancy, as well as Placenta Encapsulation for you immediately after your birth. The role of a doula and the work she does is different at each birth and is 100% dependent upon the laboring woman's needs. While Dads know an intimate amount about their birthing partners, doulas know an intimate amount about the birth process and how to guide/support you both through it. Let's work together as a team! Please watch the video below to see more about what a doula can offer! Birth is an opportunity to transcend. To rise above what we are accustomed to, reach deeper inside ourselves than we are familiar with, and to see not only what we are truly made of, but the strength we can access in and ﻿through Birth.